To ask other readers questions about The Christmas Sisters, please sign up. Does anyone have any suggestions for questions/thoughts to discuss at book club on this book? Perhaps I'm missing something/misread, but when the book flashes back to 25 years prior to the main plot, one of the adults mentions that they have a picture of something on their phone. Did anyone else catch this? I'm also not done with the book, so maybe I'm missing key details. I was just very confused by that statement. Denise I caught that too...and have to admit that it threw me for a couple of minutes...I decided to just ignore it and move on...but, a good editor should…moreI caught that too...and have to admit that it threw me for a couple of minutes...I decided to just ignore it and move on...but, a good editor should have caught that. Beautifully written, this work of women’s fiction will have you yearning for the Christmas season to begin. The cover alone is so welcoming, as are the engaging, well developed characters in this storyline which warms the heart. Survivor’s guilt is a crushing burden to bear, and nobody knows that more than Suzanne. She is the adoptive mother of three daughters, Hannah, Beth and Posy. They lost their biological parents twenty-five years ago due to a tragic accident which still haunts Suzanne and her daughters to this day. As the sisters are preparing to spend Christmas with their adoptive parents in their childhood home of Scotland, we get to know each one very intimately. Each sister so uniquely their own. Each dealing with their personal issues. Each none the wiser as to the hurdles in their siblings lives. Well, that is until they all meet up for Christmas. Truths, hurts and confessions are unfolded. I so enjoyed the chapters alternating between the three girls, delving deep into their thoughts, their hopes and dreams, their individual realities. The McBride sisters are coming home to Scotland for Christmas... Suzanne is delighted to have all her girls under the same roof, but there are still some wounds that need to be healed... I appreciated how we got each sister’s point of view, we really got a true glimpse into each of their lives and hearts... Posie had an extremely adventurous side and a budding Romance that was the talk of the town... Beth, was probably the most relatable to me, a mother struggling with the decision to go back to work or not, feeling overwhelmed and under appreciated... Hana, was a reserves workaholic who played her cards close to her vest... each girl had their own triumphs and struggles, and each was impacted by the death of their parents in a different way... Suzanne had her struggles as well, suffering from survivors guilt and determined to succeed in her role as adoptive mother to these three wonderful sisters... so, can these sisters now adults come to terms with things that happened in the past? The delightful snowy setting of Scotland added a festive vibe to the story... I really felt a connection with all these characters, and wanted nothing but the absolute perfect Christmas for them all!This book truly evoked some strong emotions in me, I felt as though I was living and breathing this book along with these sisters... a wonderful winter read that will make you smile more times then it’ll make you cry.... A book of love, laughter, and life lessons, seasoned with snow and holiday cheer! Sarah Morgan writes perfect festive fare that makes your heart melt. This is a great escapist fare, a rom-com with all the ingredients that have you turning the pages, family trauma, sisters that love each other, but have struggled to create close supportive bonds, and a winning location in the small community of Glensay in the wintry Scottish Highlands. Suzanne is looking forward to the festive season and her reunion with her daughters visiting from Manhattan, New York, Beth, married to Jason w Sarah Morgan writes perfect festive fare that makes your heart melt. This is a great escapist fare, a rom-com with all the ingredients that have you turning the pages, family trauma, sisters that love each other, but have struggled to create close supportive bonds, and a winning location in the small community of Glensay in the wintry Scottish Highlands. Suzanne is looking forward to the festive season and her reunion with her daughters visiting from Manhattan, New York, Beth, married to Jason with her two young children, Ruby and Melly, and the more contained and distant Hannah. Posy, her youngest daughter, has stayed in Glensay, a village where rumours are rife and it is hard to have a private life free from prying eyes. Posy has stayed to support her parents, helping to run Cafe Craft, is part of the local mountain rescue team with her dad, Stewart, and is passionate about ice climbing. The family have avoided talking about the 25 year old trauma when the girls actual parents, Cheryl and Rob, tragically dies in an avalanche on Mount Rainier. Cheryl was Suzanne's best friend and adopted her three young children and has done her best to provide the love and security for the girls. However, all have been left scarred by the process, Hannah with her inability to trust, viewing love as an emotional form of roulette, Beth being an over the top protective mother, and Posy wanting to see the world by ice climbing, but worrying that her leaving will be too much for her parents. Hannah is being pushed to her limits as she tries to come to terms with her secrets, Beth's marriage is in crisis and Posy has found herself in a sexual relationship that threatens to derail the status quo. Lovely, heart-warming Christmas story about family, love, and the things that really matter. This was the perfect book to escape to the mountain village in Scotland. Suzanne is looking forward to Christmas this year with three adopted daughters coming home to Scotland. Two of her daughters- Beth and Hannah are travelling from the United States and they both could use a holiday break! They each have very different lives and are trying to make sense of where they are at the moment. The younger sist Lovely, heart-warming Christmas story about family, love, and the things that really matter. This was the perfect book to escape to the mountain village in Scotland. Suzanne is looking forward to Christmas this year with three adopted daughters coming home to Scotland. Two of her daughters- Beth and Hannah are travelling from the United States and they both could use a holiday break! They each have very different lives and are trying to make sense of where they are at the moment. The younger sister, Posy may be falling for one their lodgers (hunky and handsome of course)! 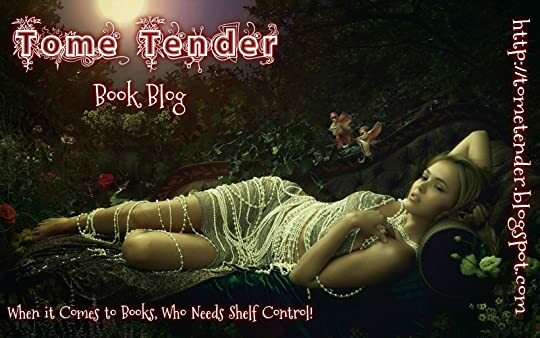 The writing pulled me right in to the cozy setting and I was invested in the story of the three sisters, the past tragedy that they suffered through, and the very different paths each of their lives have taken. Will the sisters come to terms with what really matters to them? Escape to Scotland with this lovely romantic read that has some drama, sister secrets, and family love that will warm your heart. Thank you Harlequin for my copy. 5☆ A Heartwarming, Poignant and Enchanting Romance. The Christmas Sisters is a Heartwarming, Poignant and Touching story of Family, Relationships, Secrets, New Beginnings and a sprinkle or Romance and Festive Magic. Beth, Hannah and Posy are all sisters. But their relationships are far from rosy. They barely speak, or get together, their relationship is strained and somewhat Taut. Suzanne their Mother, is desperate to bring the family back together this Christmas. But with a tragic accident in the p 5☆ A Heartwarming, Poignant and Enchanting Romance. But with a tragic accident in the past, Secrets, nightmares, guilt and fraught relationships, can Suzanne repair her family or is it all too late? Each of the chapters are told by each characters points of view, which I really enjoyed. I found myself excited to get to the next chapter to find out more. Each of the Sisters are very different. Hannah is a closed Book, emotionally shut off, kept her secrets to herself, threw herself into work. Just starting a budding relationshio with the handsome Adam, who just gets her! Beth a mum of two, she appears to be struggling with motherhood, and seems to feel slightly suffocated, and in need of gaining a lil independence back, as she contemplates going back to work. Posy the youngest sister, she's very carefree and has a wonderful endearing charm about her. Working on the mountain rescue with her adorable fur Baby. I really connected with each of the characters, they were all so deeply flawed, yet endearing and likeable. I was willing for them to open up and communicate with each other, as that's exactly what needed to happen... too many painful buried feelings and hurt. I really did feel for each of them. The Christmas Sisters is a poignant Story about Family, Loss, Grief, Relationships, Trust, Forgiveness, Acceptance, finding Love, New Beginnings and coming together, with a good dose of Christmas Magic. But don't worry there is also plenty of sisterly drama, Witt, humour and romance to keep you hooked. Sarah Morgan has weaved her magic once again, she always writes the most heartwarming, compelling, mesmerising and amazing stories. With loveable colourful characters and an endearing storyline, I found i devoured this beautifully Enchanting Story in one go. Thank you to Isabel at HQ Digital for this copy which I reviewed honestly and voluntarily. I have bought a slew of holiday reads this year, but so far, this is one of the only ones I’ve read. Everyone has high expectations for the holidays, right? You definitely hope your family members will get along? Suzanne wishes for her three daughters to have a perfect Christmas with she and her husband in the snowy Scottish Highlands. What a destination! This is a lovely escape of a read: a quaint and cozy setting, positively charming characters, and the magic of the holidays. The cover has a sparkly touch of magic, too. 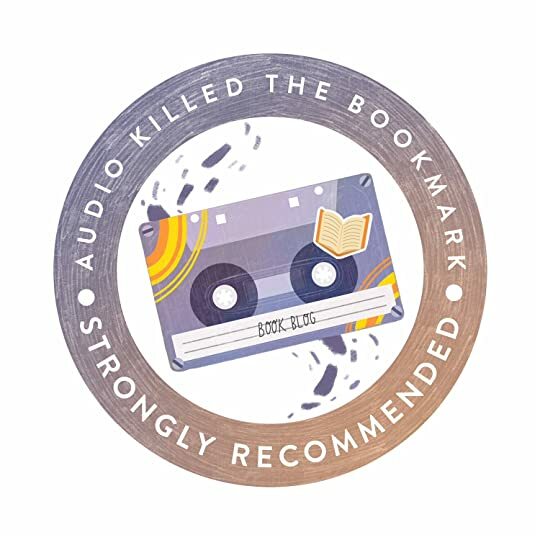 Overall, I enjoyed the my time spent with this family, and Sarah Morgan has a knack for this type of read. Thank you to Harlequin for the complimentary copy. All opinions are my own. Although it's that weird in between time between Christmas and New Year, i love spending time in the run up to, and around Christmas, indulging in some christmassy themed books. They really help me get into the Christmas spirit, and start becoming all excited at the prospect of the Christmas season and all it encompasses. I'm always reluctant at taking down the Christmas decs. "The Christmas Sisters" ticked every box in my perfect Christmas book. Gorgeous setting - tick - intact it gets a double tick with the setting initially set between both the picturesque Scottish Highlands and a snowy, glittering Manhattan. Easily relatable and warm characters who feel like friends - tick, decent storyline - tick, loads of winter and Christmas spirit - tick. Aww, this book was just so sweet, without being too sickly. It's a perfect book to get comfy with for some "me time"; switch off your phone, forget everything, and snuggle up under some blankets with a hot chocolate. It's the ideal antidote to the mad and slightly stressful time around Christmas and New Year. The narration is told from the viewpoint of Suzanne and her three very different daughters - Hannah, Beth and Posy. The only time of year they all get to be together is over Christmas at their family home in the Scottish Highlands. Suzanne is determined to make it as perfect as possible and goes all out with the decorations, food, and evoking a gorgeous cosy and warm atmosphere her girls will feel welcome in. However, when families get together at Christmas, nothing may be as it appears on the surface. Underneath there are layers of rippling tensions, feelings and issues. Suzanne only hopes these can be pushed aside to make the holidays as memorable and stress free as possible. Everything came perfectly together to create a gorgeous feel good and uplifting book. Set in Scotland, three sisters come home to their adoptive parents' for Christmas. All adults now, and with their own lives and personal sets of issues, the magic of the holidays has been replaced by stressed relationships, self-doubt, and shocking secrets. It doesn't help that their adoptive mother is sick with the flu and confined to her room the whole time. Maybe that's for the best though. When it comes to sisters, sometimes the drama needs to work itself out. Sarah Morgan fans should be aware that this is not one of her traditional romances. This is women's fiction, and it's pretty good. 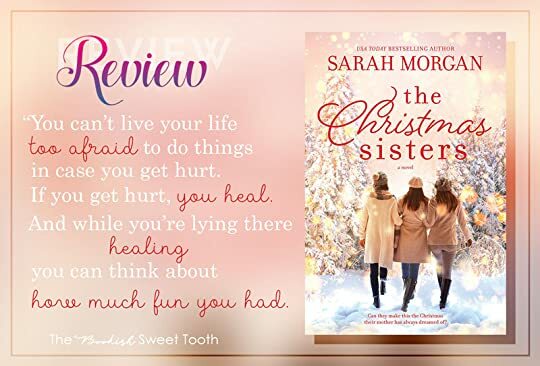 Personally, when it comes to a story of sisters, I enjoyed Morgan's How to Keep a Secret far more, but I loved the Christmas setting in this one and a story that embraces family and tells you to bravely follow your heart is always welcomed during the holidays. Check it out. The writing is expressive, effortless, and polished. The characterization is spo Delightfully mesmerizing, positively heartwarming, and absolutely brilliant! If her sister had been a laptop, Posy would have run antivirus software because there were times when she was convinced Hannah had been taken over by malware. If parenting was a meal then Jason came straight in at dessert, bypassing all other courses including vegetables. I have a trick I use whenever I’m scared…I pretend I’m in a movie… Whatever movie fits the scenario. It’s easier to pretend I’m playing a character, than it is to be me. Meet the McBride sisters who are preparing for Christmas at home in Scotland. Beth is married and a stay at home mother to two small children but contemplating a return to an outside career. Oldest sister, Hannah, has a highly successful career that seems to keep her from the family but they believe she’s deliberately choosing to stay away. Both she and Beth live in New York but rarely see each other these days. The youngest sister, Posy, hasn’t strayed from home, helping their mother Suzanne ru Meet the McBride sisters who are preparing for Christmas at home in Scotland. Beth is married and a stay at home mother to two small children but contemplating a return to an outside career. Oldest sister, Hannah, has a highly successful career that seems to keep her from the family but they believe she’s deliberately choosing to stay away. Both she and Beth live in New York but rarely see each other these days. The youngest sister, Posy, hasn’t strayed from home, helping their mother Suzanne run the local café and serving on the alpine rescue team. She’s getting itchy feet to spread her wings but doesn’t want to disappoint her parents by leaving. I know Sarah Morgan comes highly recommended. I read one other book by her which was more women's fiction than romance which didn't completely work for me because of the four different point of views, alternating telling the story of them. I was bummed when I realized that this one is women's fiction as well, again with four point of views. It's such a shame because, dammit, I want to read a Sarah Morgan romance! All four women are connected through one event that took their loved ones away. The woman who lost her best friend, Suzanne, adopted Cheryl's daughters, Posy, Beth and Hannah and moved from the Pacific North West all the way to Scotland so that the children could grow up without having to experience the very public handling of their parents' death which made a huge impact of all of them. Christmas is approaching fast and Hannah and Beth, now back in the US, prepare to go back home to visit their parents. Beth, a stay-at-home mom, loves her children, is a little over-protective of her children but yearns for a grown-up conversation. She is restless, exhausted raising her kids pretty much alone since her husband is the successful business man. Beth wants more and when she gets a chance to interview for her dream job she wants to jump at the chance. Except he wants another child. I loved that Beth stood up for herself and showed Jason what it means to be a parent who is solely responsible for the children for the majority of the time. He learns a new appreciation for mothers, so mission accomplished. But Beth was also the person who got on my nerves the most. She was overly neurotic and a hypocrite when it came to her sisters. Fortunately they didn't have an issue to show her that. Although Posy is supposed to take over the small family business her secret wish is to follow in her parents' footsteps and be a mountain guide. When she meets Luke the longing is only amplified. Posy was the easygoing, laid-back baby sister. I connected with her the most because she was accepting and tolerant and let people have their space. But she also knew how to make a point. I love her no-nonsense characters. Hannah is focused on her career, driven, and seems like nothing can chafe her. She comes across at standoff-ish until you get inside her head. She has a whole bunch of insecurities, every psychologist would have a field day with her. Her dad played favorites when the sisters were children and she wasn't #1 - but she never wanted to be. She just wanted to be loved like her little sister was. Hannah had all my sympathy, she was so hurt and so withdrawn I wanted to hug her. And then she started to climb over the walls she built I felt truly proud of her. Protecting yourself locked out hurt some of the time, but it locked out the good stuff, too. Suzanne loves her family. She would do anything for them. At first I didn't understand what the fuss was about that Hannah came home for Christmas. Everything was Hannah wants, Hannah needs, Hannah loves...in the end I realized that Suzanne, being a very smart and intuitive woman, knew how much Hannah was hurt by her father's favoritism of Posy. She wanted to show her how loved and special Hannah was. Suzanne is the glue that holds families together. She was wonderful. For some reason I didn't feel the disconnect I felt in How to Keep a Secret, brought on by the rotating POVs, as much this time around. While I would have loved to get deeper into the stories of the three women The Christmas Sisters was definitely satisfying. I learned enough about these characters to understand them. While the sisters had issues to solve with one another, no matter how much they argued they stood by each other with all the love they had. I also adored the men at their sides. Especially Stewart, Suzanne's husband captured my heart with his endless wisdom and his eye-twinkling humor. They closed the door and Stewart looked at the glitter on the floor. One thing that I need to mention because it didn't make sense: The accident was 25 years ago - in a flashback Cheryl talks about photos of her kids on her phone. Granted, the story hints nowhere in what time period the story is set in but in that case I assume it's in the present. 25 years ago there were no photos on phones. We were lucky to own mobile phones which were big and chunky. The Christmas Sisters is a heartwarming, delightful story that will get you in the mood for Christmas. It has a dose of humor and a very low angst factor. The characters are genuine, real and lovable. This story is poignant, holding truths we can identify with about loss, family and how love can heal wounds. It's the perfect winter read when you want to snuggle up in your book nook with a blanket and hot chocolate! A family who comes together for the Christmas season, sisters who are joined together once more and begin a journey to forgive and forget old hurts, in this charming and sweet Christmas story. Three sisters who are very different, one from another - Posy “…was like a little ball. She bounced.” Beth, on the other hand…”was a delicate little thing.” Hannah seemed to be from a different family, altogether. Posy lives in the village of Glensay, a village in Scotland, along with their parents, Suzann A family who comes together for the Christmas season, sisters who are joined together once more and begin a journey to forgive and forget old hurts, in this charming and sweet Christmas story. Posy lives in the village of Glensay, a village in Scotland, along with their parents, Suzanne and Stewart, and as in most small villages, everyone knows everything about everyone, especially where romance is concerned. There’s family trauma and past drama as background, but there is also some sibling rivalry and more current drama that adds to it. In the meantime, there are decorations to put up, Christmas treats to be made and perhaps some fences to be mended. I loved Suzanne’s idea that ”…the key to relation is planning. I want it to be special.” I probably don’t have to tell you that it would be a memorable holiday, if not memorable in the way that Suzanne had hoped for. Suzanne McBride is dreaming of a perfect Christmas as her three adopted daughters are coming home for the holidays. Beth, Hannah and Posy lost their biological parents to a tragic accident twenty five years ago. The accident still haunts Suzanne and the girls and has affected the women in different ways. The book is set in Bonnie Scotland of which the author describes beautifully. The chapters alternate between the women. The message behind this story is to love, trust, accept yourself and the ot Suzanne McBride is dreaming of a perfect Christmas as her three adopted daughters are coming home for the holidays. Beth, Hannah and Posy lost their biological parents to a tragic accident twenty five years ago. The accident still haunts Suzanne and the girls and has affected the women in different ways. The book is set in Bonnie Scotland of which the author describes beautifully. The chapters alternate between the women. The message behind this story is to love, trust, accept yourself and the other people in your life. I would be happy if I received this book in my stocking this Christmas and I know a few friends would like it too. Yes, I realize that it’s only September and I’m already reading Christmas books and I’m totally ok with that! I’m like a little kid when it comes to the holiday season and I’m always more than ready to get into the holiday spirit, even before fall has officially started haha. The Christmas Sisters was the perfect book to bring the magic of the season to life and it made me even more excited about the holidays than I already am. This follows a mom and her three daughters and you hear from each of Yes, I realize that it’s only September and I’m already reading Christmas books and I’m totally ok with that! I’m like a little kid when it comes to the holiday season and I’m always more than ready to get into the holiday spirit, even before fall has officially started haha. The Christmas Sisters was the perfect book to bring the magic of the season to life and it made me even more excited about the holidays than I already am. This follows a mom and her three daughters and you hear from each of them throughout the book. Suzanne adopted the girls when they were young after a tragic accident took both of their parents and it was so fascinating to see how their deaths affected each woman in a profoundly different manner. Beth, Hannah and Posy all have their own unique issues but they all stem from the past and I became entirely wrapped up in their lives and very invested in what would happen to each one. This is set in Scotland and it was such a picturesque and gorgeous setting and Morgan described it beautifully. Her brand of writing works so well for me, it’s fun and flirty, but also heartfelt and poignant and left me with a sense of comfort in the end. I always end up caring deeply about her characters and this was no exception, I was rooting for all of the McBride women and their men weren’t too shabby either. Highly recommended for holiday reading lists! 3.5 stars. I would’ve loved this book more if it weren’t for Beth. She rubbed me the wrong way throughout the entire book. Otherwise it was a good holiday read. An emotionally taut tale of crisis, confusion, secrets and avoidance, THE CHRIS The magic of Christmas and the enduring bond of family will bring three sisters home to heal, to remember, to bond and to look forward to the future. From the workaholic Hannah, to the stay-at home-mom, Beth to Posy, the one who stayed home to help out their adoptive parents, three sisters will come together in the snowy Highlands of Scotland, open their hearts and embrace the love and support they have always needed. 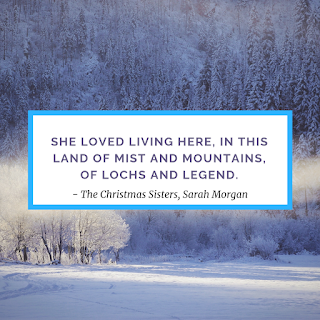 The McBride sisters are all planning to gather together at their family home in the beautiful mountains of Scotland for Christmas. They are all struggling with some difficult decisions. Suzanne is excited to see the girls and is preparing a perfect Christmas gathering, exhausting herself in the process. Suzanne and her husband took the sisters in as young girls following the death of their parents. They raised them as their own with love and understanding. Together the family bonds prove strong The McBride sisters are all planning to gather together at their family home in the beautiful mountains of Scotland for Christmas. They are all struggling with some difficult decisions. Suzanne is excited to see the girls and is preparing a perfect Christmas gathering, exhausting herself in the process. Suzanne and her husband took the sisters in as young girls following the death of their parents. They raised them as their own with love and understanding. Together the family bonds prove strong enough to support one another, helping each other with the issues they are facing. First reviewed on Tea Party Princess. The narrative jumps between different characters so that you get to see multiple perspectives. I conn 5 Words: Christmas, family, secrets, forgiveness, acceptance. A touching story about family and parenting, sisters, drama and tragedy in love and life during one special Christmas time that shakes up the relationships in the family and leads them all to a new path in life. I absolutely adore the way Sarah Morgan tells a story; there are deep emotions and angst but not so much that it overshadows the story hope and love. There are conflicts, passion, humor, warmth, sweetness, and everything else that are part of the relationships and life, yet when I get to A touching story about family and parenting, sisters, drama and tragedy in love and life during one special Christmas time that shakes up the relationships in the family and leads them all to a new path in life. I absolutely adore the way Sarah Morgan tells a story; there are deep emotions and angst but not so much that it overshadows the story hope and love. There are conflicts, passion, humor, warmth, sweetness, and everything else that are part of the relationships and life, yet when I get to the end, there is this balanced, wholesome, complete feeling of happiness and satisfaction towards the tale and its events, that it fills the heart with bliss, every single time. The Christmas Sisters is a story of a family that was formed by a tragedy but stayed together because of love, loyalty, and commitment. All the three sisters and their adoptive mother get their chance to tell their point of view into the events of this particular Christmas and the one 25 years ago, that changed their lives so drastically. Each of the four leading ladies have their points of weaknesses and issues they have to face, relationships their have to repair, and moments of learning and growing they have to embrace while spending the Christmas together with their loved ones. Each of those four leading ladies also has their romantic relationships to deal with, to grow in, and fall for, or to take the leap of faith to the next level of the bond in between them and their mates. I loved the sisters, how truly different they were, and yet so similar in their pursuit of life and love. They are strong women, each talented in their own way, the tragic accident shaping them up in different ways to be the women they are today. I loved the bond between them, how they might not agree upon much at first, yet still willing to stand for each other when the need arises. 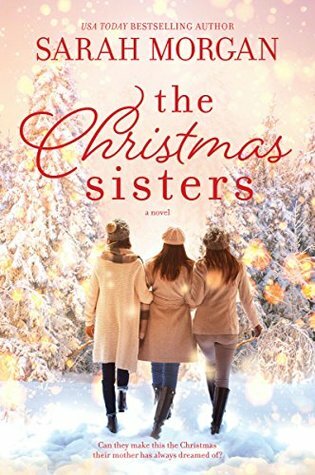 The Christmas Sisters is a profound story about love; maternal love, love between sisters, love in a family, and the romantic kind of love that swipe you off your feet. It is a heartfelt tale of the bond only sisters can feel between them, an ardent tale of romantic love between four different kinds of couples. And it is a story about a Christmas miracle that saves a little girls faith in the all that magic that only the season can bring into our lives. This book was simply brilliant from the first page and didn't want to put ot down the story was so like real life and the characters are brilliant and the story plot is so believable. Perfect Christmas read to curl up in front of a fire and enjoy Christmas. It's all about family life and how all a mother wants is for her children to be happy and in love and enjoy being with each other. Plenty of romance and sisterly love but also heartbreaking and how they have to deal with the past in order to This book was simply brilliant from the first page and didn't want to put ot down the story was so like real life and the characters are brilliant and the story plot is so believable. Perfect Christmas read to curl up in front of a fire and enjoy Christmas. It's all about family life and how all a mother wants is for her children to be happy and in love and enjoy being with each other. Plenty of romance and sisterly love but also heartbreaking and how they have to deal with the past in order to move forward. You are really able to laugh at times when reading it but also heartwarming and you believe you are in the setting as all amazing secenery and plenty of snow. Well worth more than e five stars I have given it and live how each chapter is about a different sister but how they all pull together in the end. Suzanne moved to Scotland years ago and has her own cafe and her husband steward works in the mountains rescuing people from danger but she is never happy at him doing this due to the upset of years ago. She took on bringing up her best friends three children when they were young as the parents died while up on the mountains. Problem is the heartbreaking time has different memories for all three children and non of them are close at all. Two moved back to America but one stayed living in the highlands of Scotland but can Christmas bring them together. You have Hannah who lives in amaerica and has a high powered job but has surprised herself by having a boyfriend for a length of time but she's kept him secret from her family she really doesn't want to go home for Christmas but one day she feels she is pregnant and really doesn't know what to do so she tells Luke her boyfriend she has to go home early as her sister is poorly and she leaves the next day. Heads back to Scotland and can she decide what she wants and if she can be happy with her boyfriend and a baby as well or is it to much. There is also Beth who has two children and her husband is always working and she feels she isn't a good mum at all and hasn't got her own life so when her old boss rings up offering her a job she jumps at the chance but her husband wants her to have another baby so poor Beth decides to leave both her husband and children and heads home to Scotland to see what she wants. Then there is Posy who has taken after her birth parents and rescues popele on the mountains but also works in her mothers cafe but when a handsome man rents out a barn is he who he says he is and can they be happy or not. Can all three girls support each other through their hard times and tech each other to be happy again and build bridges with their partners and does Suzanna get her Christmas wish of having the perfect Christmas where all her girls are happy and in love agin and moving forward at last from the horrible past so she can also be happy and move forward. What a heart-warming read! The characters are diverse, endearing, and troubled; while the plot is a festive tale overflowing with Christmas magic, family, and the importance of moving on. Full of sisterly love and drama, this delightful novel will fill you from head to toe with holiday cheer. This was another brilliant story by Sarah Morgan, and I will definitely be reading more or this author! A fabulous book which finds itself not only in my Christmas Reads but also has a firm place in my heart. My first book by Sarah Morgan, and with her words, she is not firmly entrenched in the pericardium of my heart. Why in the covering and not the heart, you ask? Because her words are so warm that they form a protective cover over my cold heart warming me through and through. The Christmas Sisters Hannah, Beth, and Posy were coming home for Christmas, which had mom Susanne in a harried state trying to get everything done on time. Secrets and past both had a way of bubbling into the future bursting the surface as a hot warm geyser. I loved the way author Sarah Morgan has colored the personalities of the Sisters with a different shade giving them hues that changed color with circumstances, but they all came from the basic soul-born color of love. The bond between sisters was a sight to behold as it often is in real life. A tragedy could give rise to so many repercussions and change lives in unexpected ways. Friend Susanne too found her life irrevocably changed when Cheryl and her husband lost their lives in an avalanche and she became the sole and soul guardian of 3 frightened, beautiful kids. It was beautiful to see the way she adapted and adopted the girls with her husband wrapping all of them in love like Christmas gifts. Sarah Morgan (you may already know this 🙂 ) is one of my favourite authors and I love the new direction her writing is taking us. Still the romance, when it’s important to the characters, but a world that is rich in so many different emotions. A catastrophe in the past has affected and shaped all of the characters in the McBride family meaning that the emotional hold is so strong it colours all of their interactions, not only with each other but with the wider world. It’s not something they ever talk about but of course it can’t stay hidden for ever. I saw Suzanne’s enforced bed rest as the opening that’s needed for the girls to start relying on each other and opening up. Not that Suzanne coerced them in anyway, she’s an amazing character! Their silence is to protect her. At first we only know very vague information. I loved the intrigue of this, trying to work out exactly what happened to cause this family to be so shattered. Sarah Morgan’s writing drew me into the story by my senses as well as my emotions. That crisp cold air burning my lungs, the smell of cinnamon, sitting by the fire in Glensay Inn with the noise in the background that disappears when you’re caught up in a kiss, knitting club chat in the warm enveloping fug of the cafe. Perfect.